In the marketing world, we are highly focused on bringing in new business. One thing we often forget, however, is that marketing spans not only people who don’t know about your brand but those who are prospects and even current customers. By definition, marketing should encompass all interactions an individual has with your brand, which includes those before and after the sale. If anything, marketing should ramp up their efforts once someone has transitioned into the customer and delight phases of their journeys. In this article, I’ll share how you can do this and explore why. Why are Customer Retention and Delight So Important? As marketers, we tend to view following up with customers as the job of the service delivery or product teams since they are the ones typically interacting with customers on a regular basis. In every business, you’ll find that retaining existing customers is more profitable than landing new customers. In fact, acquiring a new customer costs 5x more than keeping an existing customer! In addition, in almost every business, you’ll find that one of your most reliable and consistent lead generation sources comes in the form of referrals from existing customers. There is no argument for focusing on customer delight more strong than that. Your two best sources of income are derived directly from your existing customers. It’s not enough to just recognize the importance of your customers. You then need to nurture those relationships. The first step in nurturing and improving your customer satisfaction and retention is to start measuring it! Regularly measuring customer satisfaction and retention lets you know where you stand to, in turn, determine if you are spending way too much money acquiring new customers rather than keeping your existing ones. It can also provide you with the foundation start learning where you can improve. NPS: The most common measure of customer satisfaction is Net Promoter Score (NPS). You can learn all about NPS in this awesome blog by our VP of client services, but basically, the short version is that NPS is a way for you to assess if your current clients would be willing to recommend you to others on a simple 1-10 scale. 10 being would definitely recommend, 1 being would not. CSAT: Another common measure of customer satisfaction is the Customer Satisfaction Score (CSAT). This measure takes a more direct approach and asks customers directly what their satisfaction level is on a 1-5 scale. With regular measurement of either of these, you can understand how your clients are feeling over time and know when things could be improved. Keeping a historical record of either metric on an individual client level allows you to monitor ups and downs in your relationship, and act fast if you begin to see a downward trend. Measuring overall customer satisfaction across your entire client-base allows you to draw strong conclusions about how many of those customers you can count on keeping, which makes revenue projection much more accurate. Another crucial metric to analyze is customer retention. 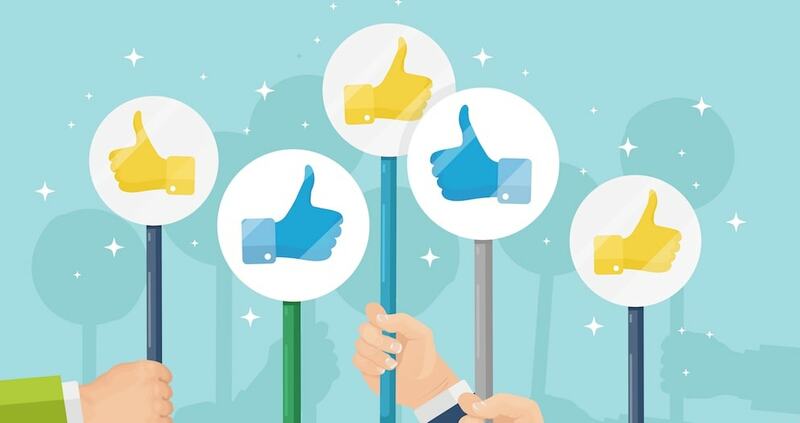 While customer satisfaction scores give you a leading indicator of how customers are feeling, customer retention metrics actually give you a concrete understanding of how many customers you are keeping and losing, and how much it is costing your business. There are a few different customer retention metrics that may be useful for you to measure. Each of them will help provide a benchmark for understanding how many customers you may need to sign or maintain to achieve your organizational goals. Customer Retention Rate provides you with a measure of the amount of customers you are able keep over a given period and typically calculated on an annual basis, but you can measure it more frequently by adjusting the calculation. This metric helps you understand how many customers you kept over the course of the year and pulls out new business acquired during that year. Customer churn rate provides you with the opposite measure, a view of how many customers you are losing over a given period. It is also typically calculated on an annual basis, but you can measure it more frequently by adjusting the calculation. This gives you an understanding of how many customers are leaving your business. You can even break churn down into categories if you ask exit questions like “Why are you leaving?” at the end of customer relationships. Again, this metric is typically calculated on an annual basis, but you can measure it more frequently by adjusting the calculation period. It takes Customer Retention Rate a step farther and introduces the information about how your revenue was affected by customer retention. Much like Dollar Revenue Retention Rate, this metric takes Customer Churn Rate and adds information about how it is affecting business revenue. Beginning to measure any (or all, if you’re an overachiever) of these metrics on a regular basis will help you start to get a handle on how well you are already doing with your existing customers. It will also give you plenty of insight into how you can start improving things! Beginning to measure your customer satisfaction and retention rates, and dive into why they are either low or high, should open up a lot of possible strategies for increasing those metrics. I’d definitely recommend building out a full-scale customer retention strategy that is customized to what you’re seeing, but I also wanted to provide you with some ideas of things you can incorporate into your strategies below. Building a full-scale customer retention plan isn’t something that can happen overnight, so I wanted to give you some quick wins you can start implementing right away as . Give your new customers something to smile about immediately by welcoming them to your brand family when they become a new customer. People love to be recognized on special occasions, so make a point of collecting important information on your customers and tracking things like birthdays or their anniversary of becoming a customer. Using a tool like HubSpot paired with CRM, you can automate the collection of either CSAT or NPS scores via email from your customer base at regular time intervals. You can even build custom notifications or additional emails that trigger off of high or low score responses from your customer base. You can build specific automated campaigns that solicit customer reviews on external review sites (think Yelp) or request written or even video testimonials from your customer base. This strategy expands from just keeping customers happy to actually turning them into a vehicle to bring in new business. If you recognize when they are satisfied, and ask them to share their happiness publicly, it helps to draw even more customers to your business and usually happy customers are more than willing to oblige. This strategy is much more powerful when combined with the first strategy, so you can selectively target only satisfied customers to send these requests to. This strategy would be one that is highly specialized to your overall retention strategy so it may take some time to roll out. You can choose to create a structured referral program for your existing customers that provides some sort of incentive for referring business your way and build regular communication touchpoints with your customers to remind them of it. You can also choose to simply reach out and ask for referrals from customers you know are highly satisfied and have been with you for a long time. As you can see, it doesn't have to be difficult to include your existing customers in your marketing strategy. You can start small and get more advanced and sophisticated over time. The most important thing I ask of you is to please, please make sure you are at least including them in your strategy and measuring your retention rates and customer satisfaction levels!